Integrations let you use the 46elks API without programming. If you create an integration or a plugin using 46elks, let us know if you need any help! 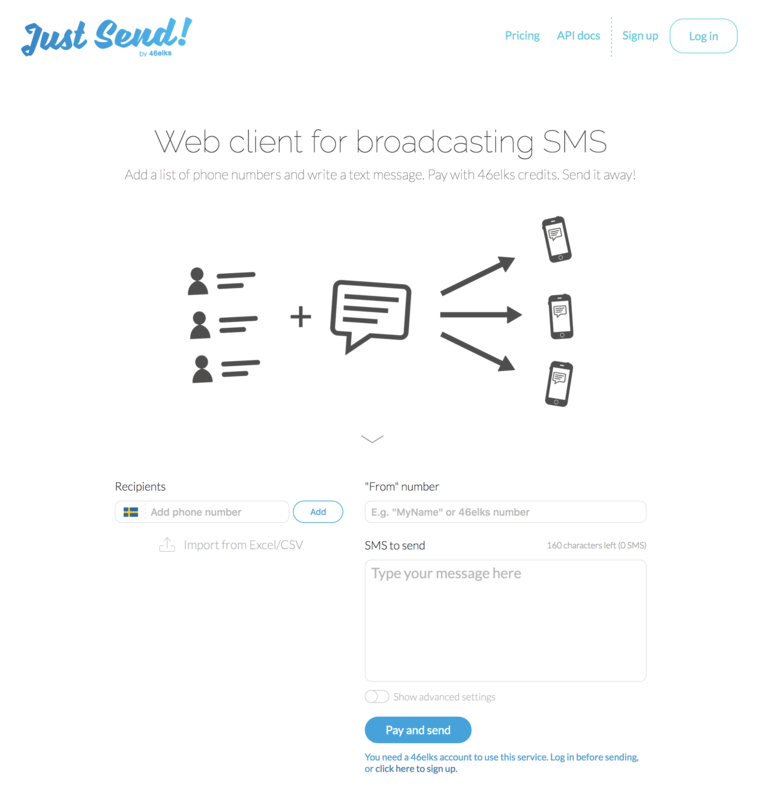 Just send lets you send sms text messages from your browser. Set up connections called Zaps between your apps in minutes, and you can to stay up-to-date even when away from Slack with automatic SMS alerts, or forward SMS messages your 46elks number receives to any email addresses. Get going! Sign up for Zapier + 46elks and try your self! With Flow XO you can make your own bots without any programming needed. AcySMS - AcySMS is an Joomla plugin for sending SMS. With AcySMS you can connect your Joomla site to the 46elks API to communicate with your users over SMS. fmSMS – Send and Receive SMS/TXT Messages from FileMaker. 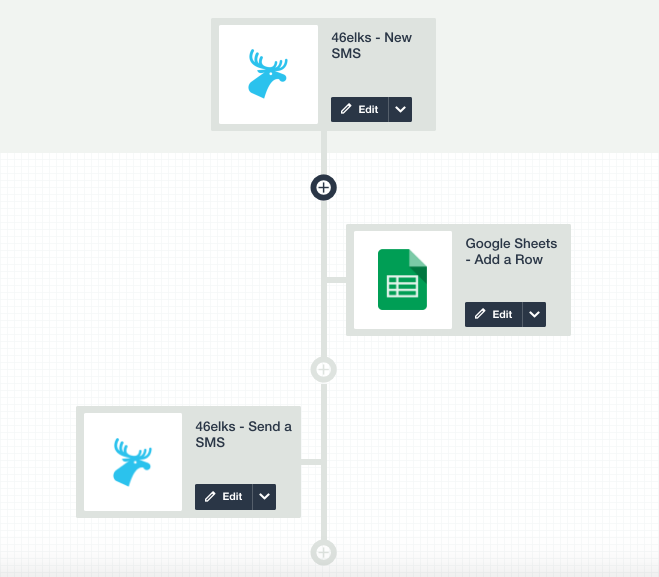 With fmSMS you can connect your FileMaker database to the 46elks API to communicate over SMS. 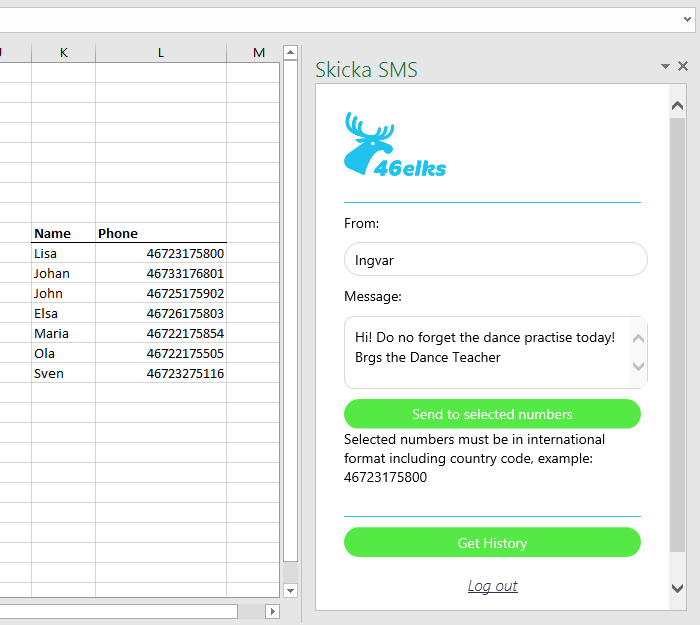 With the 46elks Excel add-in it is easy to send SMS to a list of phone numbers inside of Excel. Available in the Office Market for Excel. It is possible to use the WP-SMS-46elks WordPress plugin to send SMS to the user list of a WordPress site. The plugin can be downloaded from GitHub or Bitbucket. With some simple copy & pasting you can forward incoming SMS to Google Sheets. 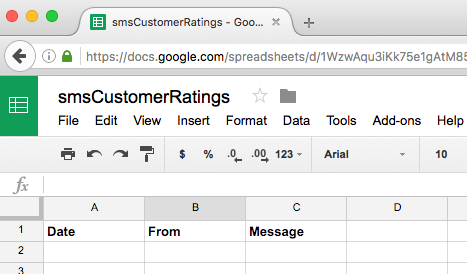 Find out how in our guide "Forwarding Incoming SMS to Google Sheets".